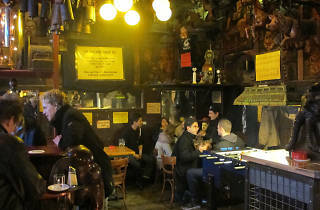 Berlin is famous for its Kneipen, which are best likened to a working man’s club. There are many different types: some act as clubhouses for fanatic fans of the local football team Hertha BSC, some play speed metal and some are just cosy places for local guys to congregate. This dive just off Kottbusser Damm is a fun example, with its bizarre cornucopia of toy dolls, old bicycles and instruments hanging from the walls. They take pride in their open all hours policy, a badge on the wall proving their 30 years of never closing – and that really means never here. 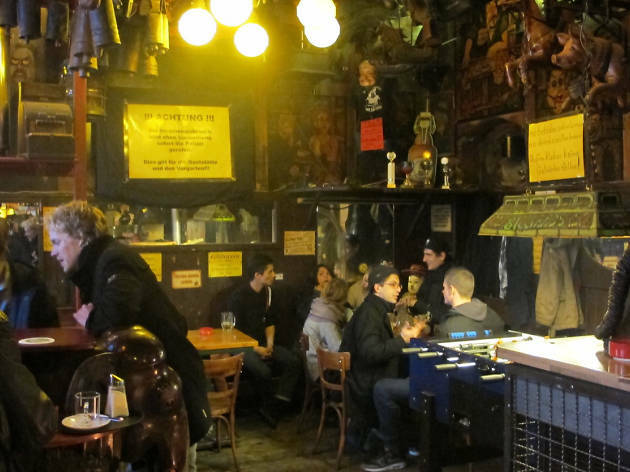 The area’s endemic unemployment means it’s usually rammed at all times of the day with rowdy characters propping up the bar or hammering away at the table football. Naturally, the beer is cheap and plentiful.